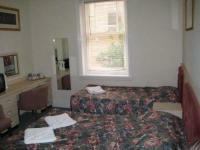 Hotels in Dorset, south west England are listed below. 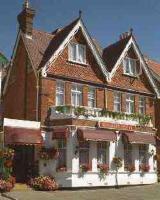 Please view our hotel offers page for the latest "early booking", "free night" and "dinner, bed and breakfast" special offers for a range of hotels, guest houses and bed & breakfast accommodation in Dorset and in the rest of England. Bournemouth, Poole, Swanage, Lyme Regis and Weymouth are popular seaside resorts and are a great place to take your family for a weekend break or summer holiday. The Travellers Guide has a great choice of romantic spa hotels and family friendly hotels near popular tourist attractions in Dorset. Read our pages about Bournemouth Tourist Information and Dorset Tourist Information. Most of Dorset has been designated as an Area of Outstanding Natural Beauty due to the "Jurassic Coast" which features famous geological landforms Lulworth Cove, Chesil Beach, Isle of Portland and Durdle Door. If you are planning to fly to Dorset then you can fly to Bournemouth International Airport (BOH), Southampton Airport (SOU) or Bristol Airport (BRS) depending on where your hotel or holiday accommodation is located in Dorset. Ideas for day trips in Dorset include Corfe Castle (National Trust), Poole Harbour, Brownsea Island, Bovington Tank Museum, Swanage Steam Railway, The Annual Great Dorset Steam Fair (near Blandford Forum in August/September), The Isle of Portland and Portland Bill, Wimborne Minster, Studland Beach and Shaftesbury. Overlooking the expansive, natural harbor of the town of Poole, England, is the Thistle Poole. The train station and Poole ferry terminal are located one half mile from the hotel. Shopping is immediately accessible outside of the hotel. One mile south, is Brownsea Island, noted for its 500 acres of woodland. Bournemouth Airport is seven miles from the property.